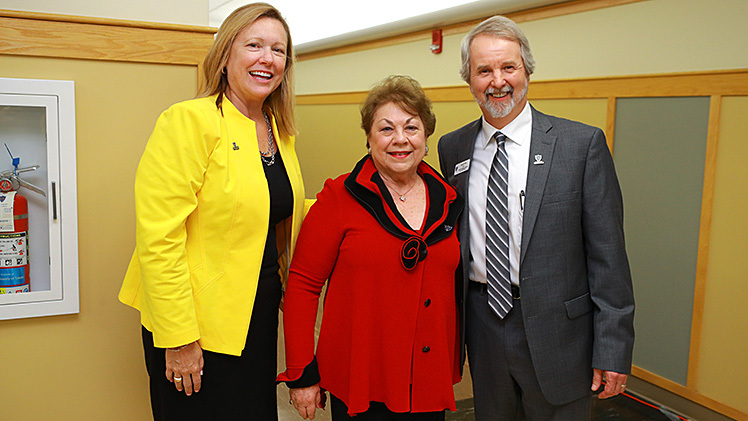 Judith Herb, center, returned to her alma mater to dedicate the Herb Innovation Center in the Judith Herb College of Education. She is pictured here with UT President Sharon L. Gaber and Dr. Raymond Witte, dean of the Judith Herb College of Education. Located on the third floor of Gillham Hall, the center’s mission is to evaluate and inspire peer-reviewed research in the college to improve and advance education and endow a great society. Drs. 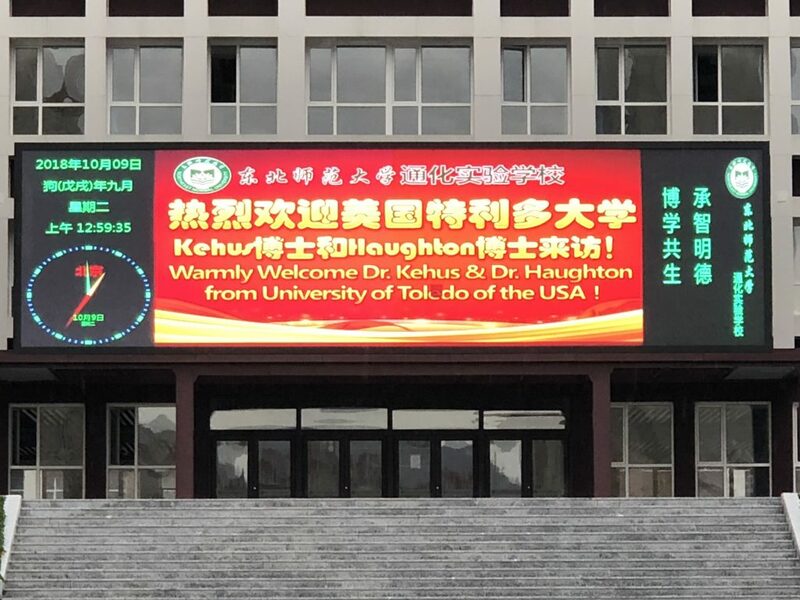 Marcella Kehus (JHCOE, C&I) and Noela Haughton (JHCOE, EDFL) visited Tonghua Experimental School in Jilin Province, China. The school is operated in collaboration with North East Normal University and the invitation to visit was extended by Principal Junfeng Ju. Drs. Kehus and Haughton were also given 3-year appointments as development counselors for the school (akin to advisory board memberships). They hope to include Tonghua Experimental School as one of the sites for the next International Leadership in Education Assessment and Pedagogy Practicum (I_LEAP) in Summer 2019. The Judith Herb College of Education dedicated the Herb Innovation Center last week. 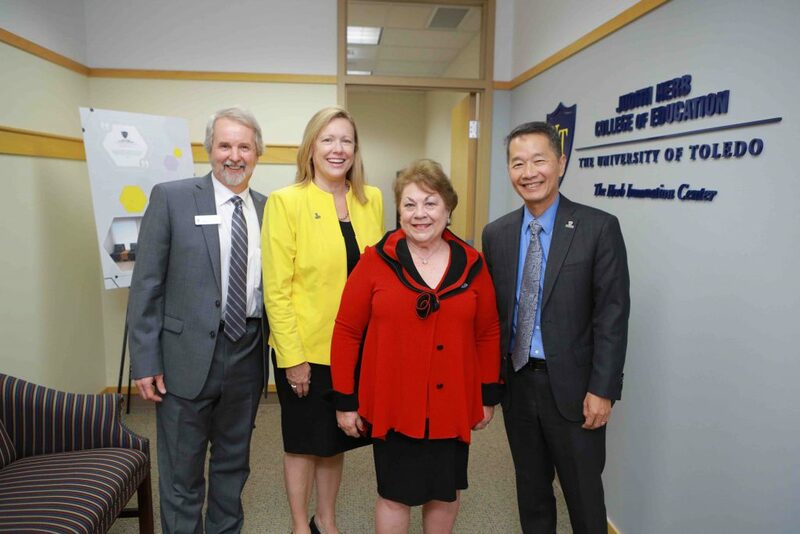 Attending the Oct. 4 event were, from left, Dr. Raymond Witte, dean of the Judith Herb College of Education; UT President Sharon L. Gaber; Judith Herb, UT alumna and benefactor; and Dr. Andrew Hsu, provost and executive vice president for academic affairs. Located on the third floor of Gillham Hall, the center’s mission is to evaluate and inspire peer-reviewed research in the college to improve and advance education and endow a great society. “We are grateful to Judith Herb for her generosity and dedication to her alma mater, and for her belief in the power of education,” Witte said.